Samsung is betting big on preorders for its upcoming flagship Galaxy S8 smartphone even before the phone’s official launch to have happened on April 21. According to industry sources, Samsung has decided to reveal some subsidy plans for customers who preorders earlier to April 7-17, while the preordered phones will go into service from April 18 that is even before the official release. The company is also planning to commence a nationwide hands-on event right after the phone is unveiled in New York and London on March 29. Sources say that the Galaxy S8 is highly likely to sell more than its predecessor, the Galaxy Note 7 which was sold some 400,000 units during a 13-day preorder even in 2016. Despite the cheerful preorders of Note 7, Samsung had to suspend sales of the Galaxy Note 7 within a month following a series of fire and explosion reports due to a fault in the battery. The company suffered more than US$6.26 billion in operating loss from the fiasco. Samsung is expected to put all-out efforts to come up the losses with the new Galaxy S8 ahead of the September release of Apple’s iPhone 8. 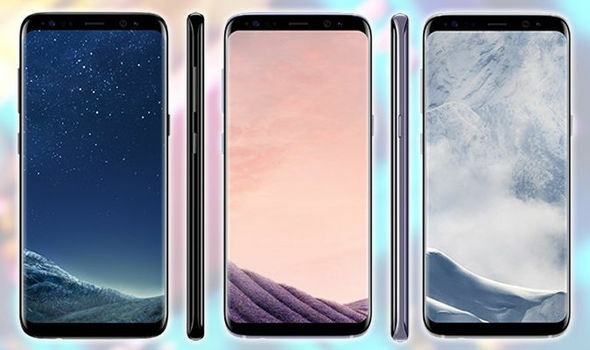 The S8, among other things, will feature a larger screen variants - 5.8-inch for the S8 and 6.2-inch for the S8 Plus that covers most of the front body making the phones bezel-less. Samsung also plans to integrate its new artificial intelligence assistant Bixby which Samsung unveiled this week by adding a dedicated button on the side of the device.